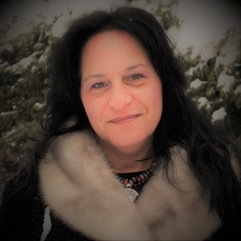 Lillian Benrubi practices counselling and therapy in Newmarket under the supervision of a Registered Psychologist or Registered Psychological Associate who are members of the College of Psychologists of Ontario. At different times in our lives, we are handed challenges, and are faced with adversity. In these situations, we may feel like we need some support; someone wise and compassionate who can provide the opportunity to be heard, and the necessary guidance to move forward. You may be dealing with issues of depression, anxiety, problems in a relationship, grief/loss, trauma/post trauma, addiction, parenting, separation/divorce; or maybe you have just lost direction and feel like you need some realignment. Psychotherapy, coaching, or a combination of both can offer you the opportunity to explore difficult or confusing terrain, to understand what your struggle is trying to tell you, and to choose what directions in life you would like to take. If you want to put your past in the past so it no longer controls your present or future well-being, and/or you realize you have visions and goals for your life but need some help to uncover the barriers or blocks and be respectfully prompted in the right direction, your sessions with Lillian will provide you with access to what you need to get the results you are looking for. Based in Newmarket, ON, Canada; Lillian Benrubi has been counselling for over 25 years. She has a compassionate, balanced approach to therapy that applies intuition, education, and experience to her work with clients. Lillian believes in the resourcefulness and resilience of every person, and considers it a privilege to help people find the power within themselves to make positive changes. She sees opportunity in meeting struggles head on, so clients can learn from them, and enjoy the benefits of wisdom and self mastery on the other side. For Lillian and her clients, difficulties in life are not a sign of weakness or a curse, but a call to grow into wholeness and personal strength. Once they have experienced this in the counselling setting, Lillian hopes her clients will have gained the courage to explore life to its fullest in every aspect of their lives.